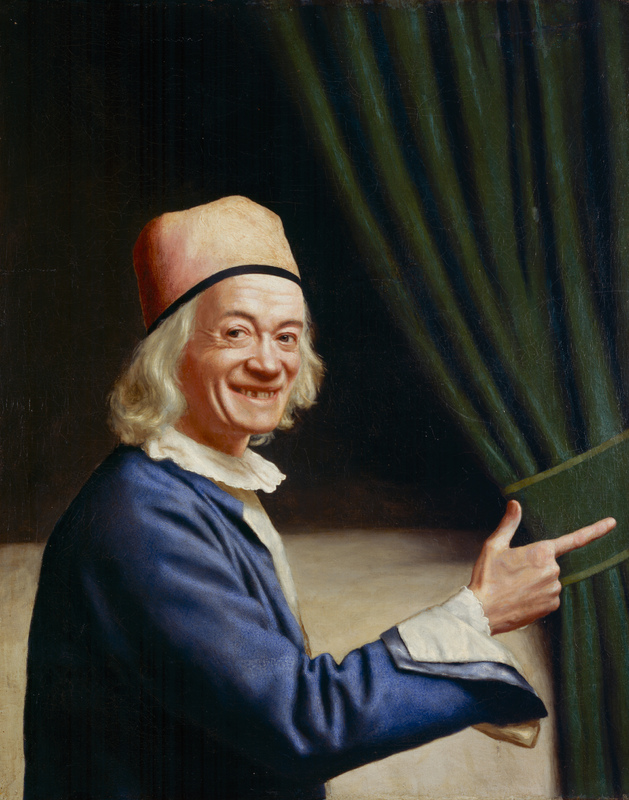 Jean-Étienne Liotard was a Swiss pastel artist in the 1700's, and is one of my favorite artists. I love the unique poses and facial expressions of his subjects. Color-wise, I love how he uses plain gray or brown backgrounds to make his colors pop. I love his blues. There's a clean, refreshing look to his pictures, and a unprepossessing uniqueness to the people he portrays. Unlike oil paintings of the time, which were formal and expressed rank and privilege, his pastels are informal, intimate. One of his more famous pastels is The Chocolate Girl, a young woman carrying a tray of hot chocolate. She wears what looks like a cap or coif, but made from what looks like pink silk instead of the more common white linen. It's sweet and pretty, and served as the inspiration for a cap I made about two years ago. I already had a nightcap, but I wanted something prettier to wear around the house, to cover my hair so I wouldn't pick at it. SO IS IT A HAT? Every now and then there are discussions about whether caps can be other colours than white and whether they may be embroidered. My reply is: Yes and no. White is safe. Other colours and embroidery have, so far, only cropped up in the context of rural and middle-class townswomen's in some regions of Europe, e.g. Southern Germany . . . In the case of Liotard's Chocolate Girl, whose cap appears to be pink, theories run from a cap cover to an echo of the colourful regional caps. Looking closely at The Chocolate Girl, I'm inclined to think it's a pink cap, since it is pink entire; if it were a "cap cover" (whatever that is), wouldn't we see the peek of the white cap underneath? I like to think that there's a story behind this girl's cap... though her clothes are simple in their cut, there's a silk-like sheen to the skirt and bodice, not the matte look of wool. So though she's a maid, she has some access to nice things. Perhaps she's frugal and saves up for good stuff? Or she has hand-me-downs from a well-heeled relation or mistress? And somehow she comes into possession of a scrap of pink silk, too nice not to use, but too small to make much. So she makes herself a cap that displays a bit of expensive lace trim and a bit of ribbon. I had made several coifs before, and found them easy. So, in March 2016, I gathered up some pretty silk and made my own version of the Chocolate Girl's cap! Much like the nightcap I made in January 2017, this cap didn't have a pattern. Nor do I have in-progress pics, but the method of construction is simple. First, I took a piece of paper and folded it over my head, marking my ears and how wide I wanted it to be. Then using those points, I drew the shape of the brim, which looks roughly like an elongated capital D. The straight edge of the D is toward the back, and the curve covers the ears and front. This piece is the brim. I cut the brim from three layers: two of pink silk, and one of stiffer cotton or linen. I sewed the inside silk to the interlining stuff with a grid of running stitches. Then I sewed the two layers of silk, right-sides-together, around the curved edge, and turned them right side out to make a brim. I took a strip of white cotton (leftover from my Regency day dress), box pleated it, and pinned it into the open edge. The box pleats were flat and boring, but I fixed them later. To make the bag for the back of the cap, I took a rectangle of silk (it was a sample from a curtain store), rounded the top edge, and gathered the curved edge to fit into the brim. The flat bottom edge of it I hemmed and then pleated in stacked pleats for a neat look at the nape of the neck. Once I'd sewn bag into brim, I closed the brim to conceal all seam allowances. Finally, I decorated the brim with some lace and trim, and used a few stitches to hold the box pleats open to give them dimension. In the pics, you can see how the box pleats naturally face back, because their seam allowances are in the brim. So a few stitches holding a few folds forward makes a nice full ruffle. I wear the cap at home, when I'm puttering about the house and don't want to do my hair; I just twist my hair into a quick bun and put the cap over it! I like the little story you gave the young girl; it reminds me of that "Longbourn" book I read which expounded on the lives of the servants of the Bennett family. Lovely and charming cap, my sister!